You can’t escape communication, which is why you wouldn’t be able to avoid a language aptitude test. Alongside tests on numerical aptitude, language aptitude tests are standards in all school entrance exams as well as pre-employment test batteries. The ability to use language appropriately is vital in almost all academic and business enterprise, and its proper use can easily translate to success in any field. 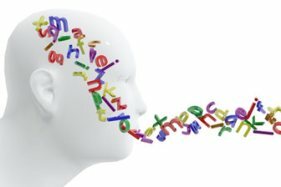 We often take language for granted --- assume we understand it because we can speak it --- but there are still technical rules to consider, which we so often fail to pay attention to. The importance of assessing the capacity to master language is underscored by the fact that language tests exist even for toddlers and very young children. For instance, there’s the Kohs block test, which tests language and hearing handicaps in children below seven years. Any developmental delay in the area of language can mean a significant impairment in later life, and it is always better to diagnose problems in the earliest possible time. More importantly, language enrichment classes can be provided to struggling kids to stimulate their language aptitude. What are you expected to do in a language aptitude test? For starters, these tests typically measure four sections of language learning: reading, writing, listening and speaking. The first two parts are often adequately covered by pen-and-paper tests, while the latter two have to be addressed through oral examinations. Reading: Reading-related tests can come in the form of reading comprehension exercises, for instance: answering questions about a text previously presented. This practice sometimes doubles as an exercise in logic and reasoning as well. Writing: Writing aptitude, on the other hand, can be measured by objective and subjective questions. Objective writing questions can cover subject-verb agreement, tenses, modifiers and other grammatical rules, word meanings, paragraph cohesion and idea development. Essay questions make the majority of subjective writing exercises. Listening & Speaking: A listening and speaking aptitude test involves a being presented orally with a prose and having to repeat it, as well as speech delivery of a pre-assigned topic. An example of a listening aptitude test is the Peabody Picture Vocabulary Test– third edition or PPVT-III. The PPVT-III doesn’t just measure language aptitude but also diagnoses language disorders such as aphasia. More recently, HR practitioners and managers are relying on more in vivo ways of conducting a language aptitude test in the workplace. This is because of the recognition that pen and paper tests often don’t reveal the actual competency of an employee when it comes to communicating with superiors, peers, subordinates, clients, and suppliers. You can, after all, master the grammar test in a written aptitude test, but have trouble performing small talk with the client you’re dining with. For this reason, direct observation, work sample methods, and simulations are perceived as more accurate means of measuring language aptitude in work-related situations. In general, language aptitude is the area most people excel at because the love for verbal communication can be instilled even without education and training. We all spontaneously learn to speak our first word as early as 12 months, pending speech impairment. In this sense, language aptitude testing in the workplace is not so much as to filter applicants, as far as to better assign them to positions that would make use of their language abilities. The only challenge comes when one is learning a second language. For instance, if you’re an immigrant in America, and English is not your first language, you may have trouble adapting to situations where rapid-fire delivery and comprehension is required. It is especially true in the medical profession, where a considerable number of professionals are English as Second Language Speakers. A person may be able to speak English fluently on a typical situation, but it would be an extra challenge to do so during emergency situations. But at the end of the day, a language aptitude test is imperative if you want to create dynamic and responsive individuals and organizations. Communication is the cornerstone of almost all efficient processes, and the ability to speak and comprehend the standard language can make all interactions run smoothly.